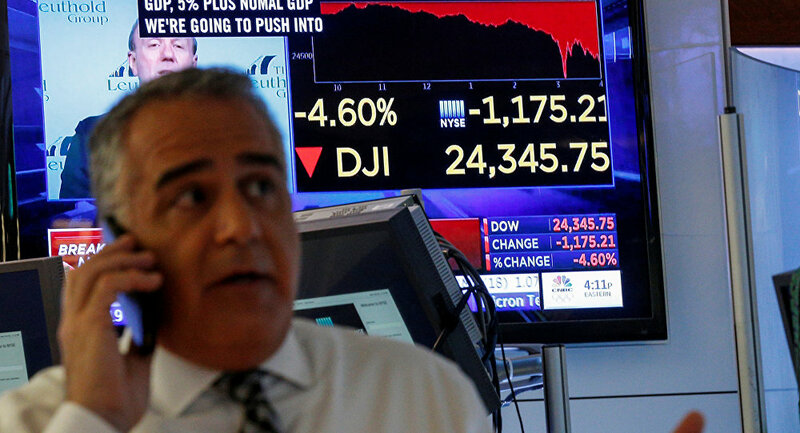 WASHINGTON (Sputnik) - This week’s volatility in US stocks is unlikely to seriously damage business investments just as real-world economic fundamentals are largely disconnected from movements in equity markets, analysts told Sputnik. The Dow Jones Industrial Average stock index endured another volatile day of trading on Tuesday — closing up 567 points — a day after shedding 1,176 in the largest single-day point drop in US history. Monday’s dip was broad-based and felt across all business sectors, negatively affecting the stock price of every S&P 500 company except two. 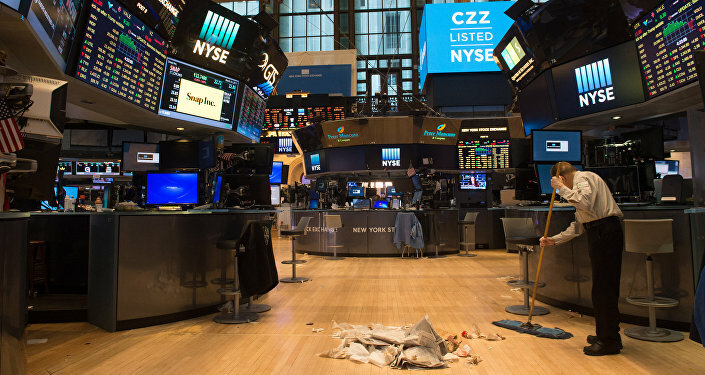 Meanwhile, all 30 Dow Jones stocks took losses ranging from 2.5 to 5.7 percent, with Boeing, Exxon Mobil, and United Technologies among the hardest hit. 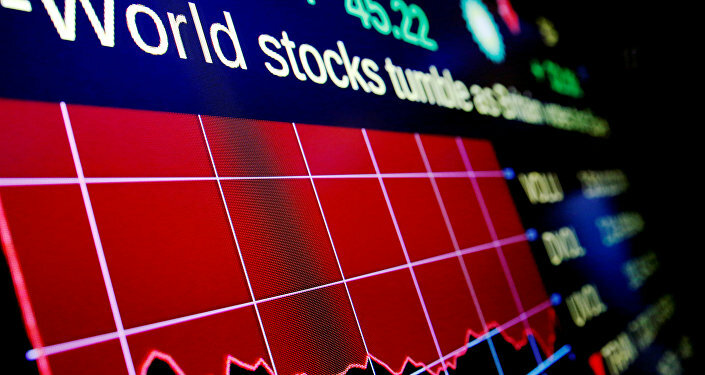 As to the rationale behind these fluctuations, University of Texas Professor of Government and Business Relations James Galbraith said that business "fundamentals" are a misleading guide when it comes to monitoring movements within equity markets. "When there is a flight to safety, getting out of an illiquid position and into cash is its own sufficient reason for a steep drop of the market," Galbraith said. The converse is also true, Galbraith argued, because the "stock market is not very relevant to future business investment decisions." The prospects of declining investment might affect the stock market with fear of rising interest rates and an inverted yield curve reinforcing that expectation, he added. However, the US financial system has the capacity to survive such a hit amid uncertainties and flight from equities, the professor explained. "The US is certainly able to handle any problem for the deposit and payments system… any failure to do so would be a failure of the policymakers and not of their capabilities," he said. Galbraith pointed out that concern about inflated equity markets was not limited to the United States. "Note that as of today, the flight from equities is a worldwide phenomenon," he said. "So the question may also be addressed to the European Central Bank and to the Bank of Japan." It was too soon to tell whether 2018 would still prove to be a successful year for American companies and the stock market, as promised by US President Donald Trump, Galbraith cautioned. University of Florida Finance Professor Jay Ritter told Sputnik that the outcome of the current wave of market volatility was still difficult to assess. "Stocks will be volatile, but whether they will go up or down by a lot in the next month is difficult to predict," he said. "Even though stock prices are lower than a week ago, they are still higher than they were two months ago. It is always difficult to predict what the stock market will do in the short run." However, Ritter agreed that the unrest on the markets was likely to prove peripheral to the performance of the domestic US and other economies. "I expect the stock market fall of the last week to have very little effect on the economy," he said. "The world economy is doing well." Ritter compared the current wave of concern on the US markets to the collapse of the IT bubble in 2000 towards the end of the Clinton administration. Currently, as happened prior to the 2000 crisis, the US stock market had gone up quite a bit in the prior few years, and many investors were sitting on paper gains, Ritter explained. "When the stock market fell beginning in March 2000, there was very little impact on the economy because the paper gains that were then lost were treated by many people as just changes in their paper wealth," he said. The US economy had been on a prolonged upswing since 2009 and this upswing was likely to continue, Ritter concluded.